Over the years, I have amassed quite aof video pinball games. Even though I’m not much of a pinball player, I’m a huge fan of the genre, and I’ve long wanted to do a retrospective on the legendary Alien Crush. 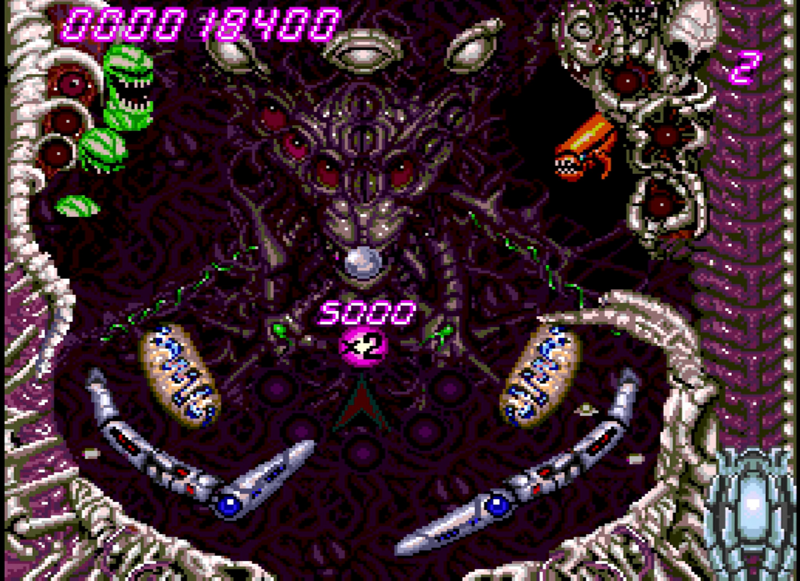 Alien Crush game was the visual centerpiece of the TurboGrafx-16 when it was released. It was one of those games that made you think “I want this system.” However, being a pinball game, it doesn’t make for terribly compelling gameplay footage – at the end of the day, it’s just pinball. I decided to bolster the video by adding additional pinball games. 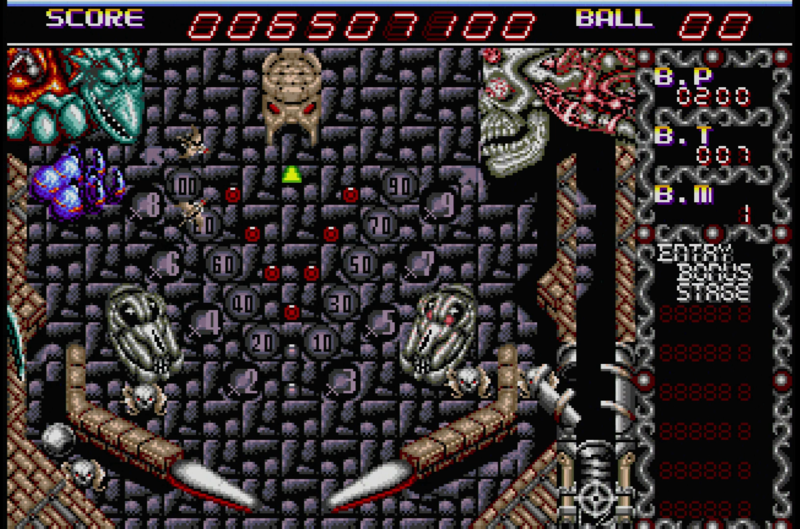 As I browsed through my library, I began to notice a pattern of… uh… “heavy metal absurdity.” A video pinball game relies quite heavily on the theme applied to its table(s) – if you’re working with a decent physics model and table design, that’s really about all that separates one game from the other. I found myself increasingly amused at the “edgy” nature of the themes developers chose; many games from the early 1990s just seem like they were designed to upset parents. In a word, they were SWEET. I thought it would be fun to just go full sensory overload – inundate the viewer with over the top nonsense as rapidly as I could. If nothing else, I think I accomplished that goal. FUN FACT: I had originally recorded footage from the TG-16 version of Devil’s Crush. Unfortunately, due to some hardware issues, I wasn’t able to capture it in RGB, and I wasn’t happy with how it looked next to the rest of the footage. As such, what you see in the video is actually from Devil’s Crush MD: the Japanese Genesis version of the same game. Here’s the video of the TG-16 version if you’re interested. Catch you later, pinball wizards! Shooter Intro Showdown – Axelay v. Zero Wing! Subspace Brief Facts – Psychic Killer Taromarou! Steve W on Dragon Force II – Translated and Running on a Console! Alex on Dragon Force II – Translated and Running on a Console! Proudly upscaled from 240p since 2014. 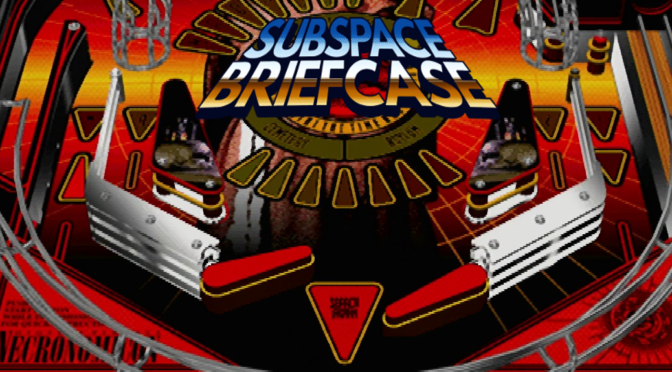 Subspace Briefcase is the logical result of three decades of video game obsession. It is the brainchild of Steve White, but it would not have been possible without the love and support of Jennifer Voss.